For the first Tutorial Tuesday, I’d like to show you all how to make my Layered Swarovski Crystal Necklace from last week’s Trend Watch post! I’d love to see what you all create using this tutorial, so post your creations in the comments section below! I hope you all enjoy and please don’t hesitate to comment with questions you might have. 1. Cut your 5mm curb chain into two 5 inch pieces. 2. Take one piece of your 5-inch curb chain, and using your flat nose pliers, attach one end to your lobster clasp and the other end to your ¾ inch hoop. Repeat the process for the second piece of 5-inch curb chain, attaching to the second ¾ inch hoop and the tab end of your lobster clasp. At the end of this step, your pieces should look like the picture on the left. 3. Cut your 2.5mm cable chain into six pieces. You will need two pieces of each length: 2-inch, 3-inch and 4-inch. 4. 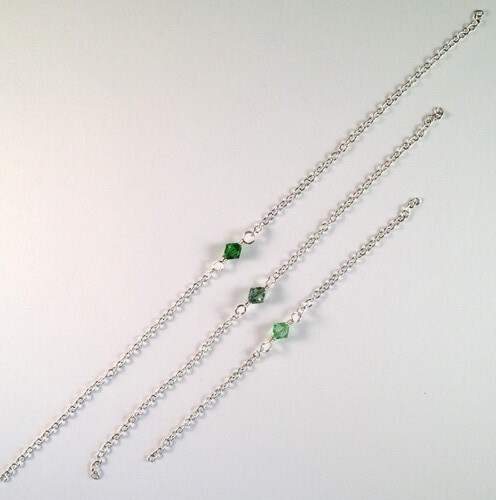 Make three beaded, looped links using the 22 gauge wire and the 6mm bicone crystals. 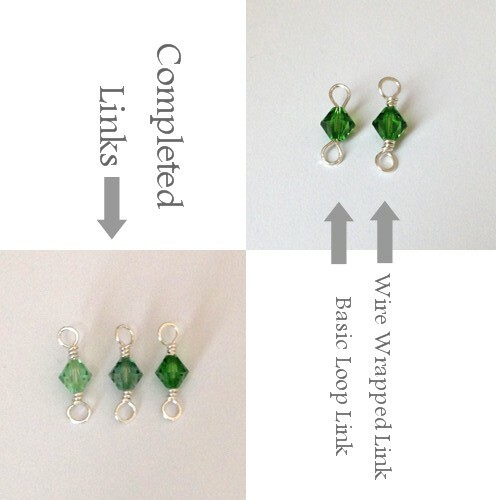 You can make basic loop-links or wire wrapped, closed links. If you are unsure how to make beaded looped and wire wrapped links, check out the great tutorials at artbeads.com. 5. 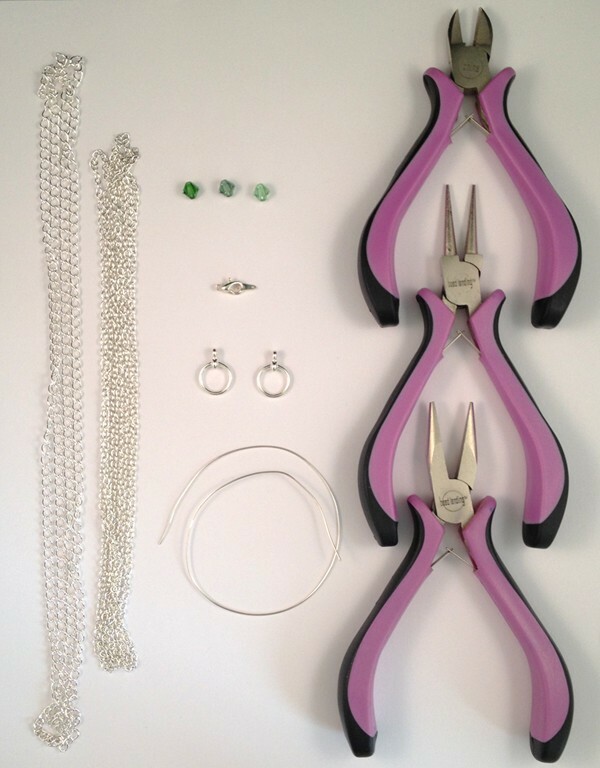 Take your 2-inch pieces of cable chain and with your flat nosed pliers, attach one to each side of a beaded crystal link. Do the same with your 3-inch and 4-inch pieces of cable chain. At the end of this step, your pieces should look like the picture on the left. 6. Use your flat nose pliers to attach your shortest linked-chain and one of the ¾ inch hoops from step two using a 5mm jump ring. Attach the other send of the linked-chain to the second hoop using the same method. 7. Repeat step 6 with your medium length and longest linked-chains. As you attach the pieces, make sure the longer pieces are attached to the outside – this ensures that the layers hang properly and do not tangle. I chose to use Swarovski Crystals for a elegant look. 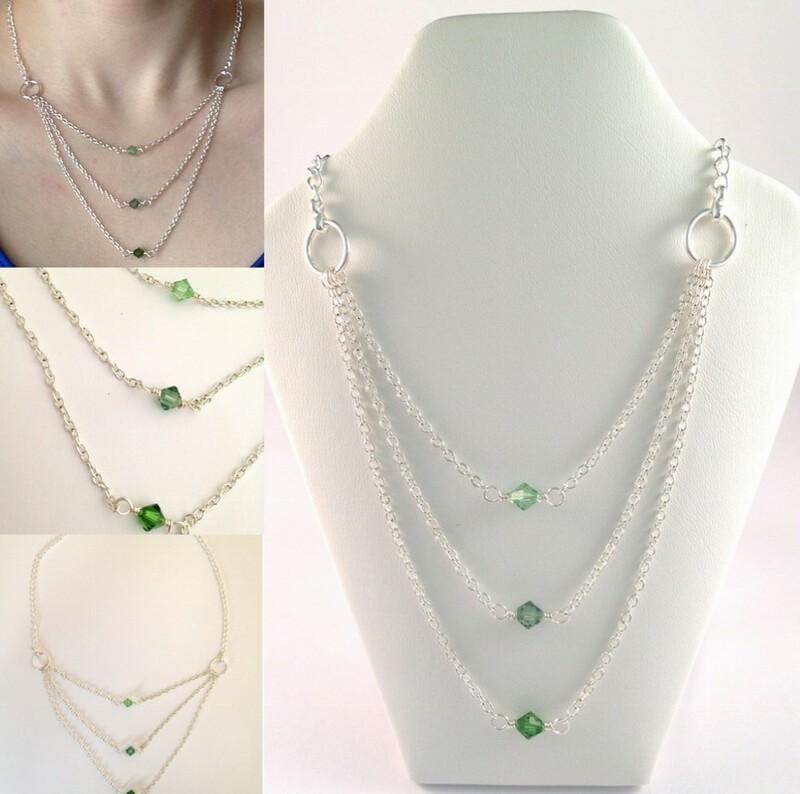 But you can use this tutorial to make any style of layered necklace. 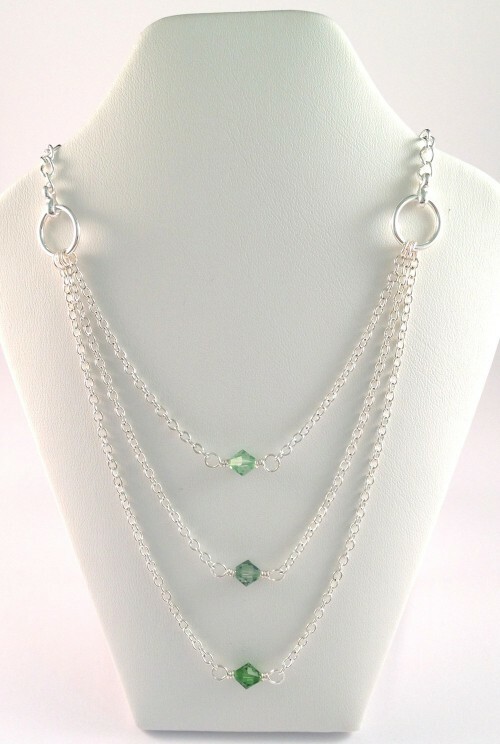 By utilizing different beads and varying chain sizes, you can create a wide variety of layered necklace looks. 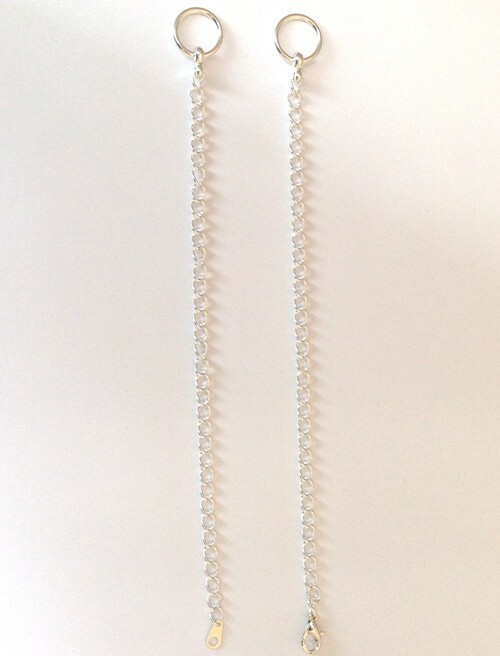 Try using chunky chains and no beads for an industrial, chic look! Try using two sets of flat nose pliers. It makes the opening and closing of chains & jump rings a breeze! If you’re like me and you make your own jump rings, don’t forget to work harden them with your pliers or with a dappling hammer.